How much does it cost to join ECHO? Nothing! On very rare occasions we may ask attendees for a small donation to help defray the cost of a particular event. No, ECHO is not a learning co-op. 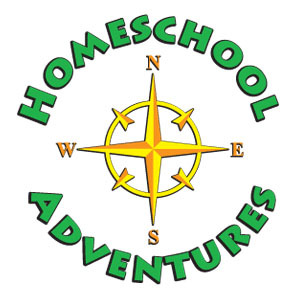 We offer information and support to homeschoolers in Minnesota. We also act as an umbrella group to our regional support groups throughout the state. Some of our regional support groups have formed co-ops that may be accepting new members. If you would like to find information about co-ops near you or if you are interested in starting your own co-op, please send a message to our Yahoo! Group. We can help you get off to a good start. Please note that ECHO is not involved in the management of these co-ops. The first and most important thing you need to do is get involved with a homeschooling support group. Ask on our Yahoo! Group to find an ECHO group near you. If there is no group near you or if the group(s) near you is full, we can help you start a new group in your area! You can get your questions answered by posting them on our Yahoo! Group where hundreds of Minnesota families go for information on homeschooling in Minnesota. Read everything you can find about homeschooling. We suggest that you do not spend any money on curriculum or other supplies until you have a better idea of your goals. This is a common question heard by new homeschooling parents, often from well-meaning family and friends. Homeschoolers may have been isolated in the past, but not today! Many homeschoolers will tell you they have to limit their social activities in order to make sure they have time for their studies. There is no shortage of things to do and there are plenty of other homeschoolers out there willing to join in the fun. Homeschooled children are not restricted in their socialization the way traditionally schooled children are. There are no age restrictions in a homeschooler's classroom, allowing social skills to develop in a more natural and positive way. One anonymous homeschooler quipped, "I don't intend to socialize my children; I intend to civilize them." How do I join an ECHO support group? Please join our Yahoo! Group. Our Yahoo! Group is a virtual support group and it includes all of our regional support groups. Click here to join. To find a group near you, post a message on our Yahoo Group letting us know where you are and that you are looking for a group nearby. In most cases, someone from one of our regional support groups will contact you privately about joining a group. If there is no group near you, or if the group(s) near you are full, we will help you start a new group in your area. I have so many questions about homeschooling. Who can I ask? 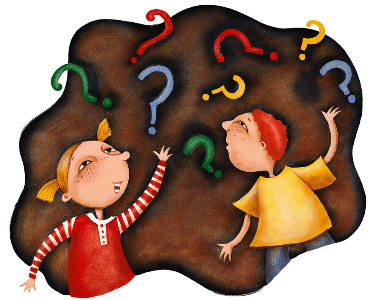 We love questions about homeschooling! Please post your questions on our Yahoo! Group. Be sure to use a subject line that clearly states your topic so others can easily follow along and participate in the conversation. There are hundreds of homeschooling families available on the Yahoo! Group to give you help and advice. Don’t be shy about asking questions. There is no such thing as a stupid question! Does my preschooler need to attend a preschool or kindergarten screening? This is up to you. Preschool and kindergarten screenings are only required by law for children who will be enrolled in public school. Some homeschoolers find the screenings useful, particularly if a speech delay or hearing deficit is suspected. It is possible for homeschoolers to take advantage of free services for these issues through the school district, but you will generally need to have your child screened before you can qualify for the services. Some families may receive notice of preschool screening by mail. Those who have chosen to homeschool can opt out by simply calling the district and leaving a message (the number is generally on the card you receive in the mail). If you do not wish to participate in the screenings through your school district, you can have the same tests done in your pediatrician’s office. Just let your doctor know that your child will not be screened through the school district and you would like the screening to be done in the doctor's office. How do I find homeschool co-ops in my area? The best way to find out about local co-ops is to ask on our Yahoo! Group. Homeschool co-ops vary widely in the way they operate. They also tend to vary from year to year. If you are looking for a co-op near you, send a message to the Yahoo! Group with the subject line clearly marked. You may find that co-ops tend to add new families only at the beginning of the year and sometimes at the mid-year break. You will find that the fees involved and parent involvement will vary widely as well. If you decide that you want to form your own co-op, ECHO can help you get started. Once you have a few families who agree on a general plan for a co-op, just let us know and we will meet with you to help you get your co-op off to a great start! How do I fulfill the state's testing requirement? The state of Minnesota requires that every homeschooled child between the ages of 7 and 16 be tested once a year with a nationally norm-referenced standardized achievement examination. The law states that the district superintendent must agree with the test being used and the testing location. These are generally determined at the beginning of the year when you send in your reporting form. We recommend that you list the test you plan to use, the name of the tester, and that it will be administered in your home. Be sure to send your reporting form by certified mail. This gives you a receipt as proof that your form was received by the district. Always keep copies of your communications with your school district. You may choose to use a standard fill-in-the-circles type of achievement test, such as The California Achievement Test or The Iowa Test of Basic Skills. You will need to order a copy of the test from a testing agency. You mail in the completed test and wait for the results. One alternative is to hire a private tester to administer the Peabody Individual Achievement Test (PIAT) in your home. The PIAT is an oral test that allows you to get test results and feedback immediately following the test. The PIAT test results tend to be more directly useful to homeschooling parents (than a fill-in-the-circle type of test) for the purpose of curriculum planning. No matter what type of testing you decide to use, the law clearly states that YOU DO NOT NEED TO SHARE YOUR RESULTS WITH THE SCHOOL DISTRICT. Keep your test results on file as part of your child's permanent school records. The California Achievement Test can be ordered from several sources including http://www.baysideschoolservices.com or http://www.familylearning.org/testing.html. The Iowa Test of Basic Skills can be ordered from several sources including http://www.pesdirect.com/itbs.html. To schedule a testing appointment with a Peabody tester, please check our website for a tester near you or ask on our Yahoo Group for a tester to contact you.